Authorities are appealing to the public for information after they realized that an entire family disappeared from a motel in Florida, MyFoxOrlando.com reports. The investigation began when Karen Burger, 57, was reported missing by her father in August. About six weeks into the search for her, detectives realized that Burger's daughter, Christina, her son-in-law, Allen Hilgefort, and the couple's two-year-old son were also missing. The four family members were last seen at a motel in Edgewater, Fla., in July, according to authorities. Police said there has been no activity with any of their bank accounts. "We're basically missing an entire family," detective Sgt. Eugene Griffith said. Investigators said that Karen Burger is known to have drug and alcohol problems. Her elderly father reportedly waited a month to report her missing because he did not think it was out of the ordinary. But investigators said it's very strange that none of the other family members have surfaced yet. "We started trying to track down the daughter and son-in-law and came to some dead ends on that also, so now we determined that they're probably also missing and endangered," Griffith said. Anyone with information on the whereabouts of Burger or the Hilgefort family is being asked to call Crime Stoppers of Northeast Florida at (888) 277-TIPS. Investigators said that Karen Burger is known to have drug and alcohol problems. Wow. So they may be in hiding or Karen burned someone in the drug business. I wonder if they have all been missing since June. Burger was last seen at the All-Suite Motel in Edgewater, where her daughter and son-in-law were staying, on July 25. After Christina and Allen Hilgefort checked out a few days later on July 28, they also disappeared. The manager of the All-Suite Motel, Francis Mills, is baffled by the disappearances. She didn’t notice anything particularly worrying about the family, she said, except for how they paid. “We didn’t think anything about them except that didn’t have money and [Lee] would come in every day and pay for their room,” said Mills. Det. Sgt. Eugene Griffin, who is investigating the case, told My Fox in Orlando that lack of information on multiple people was particularly troubling. New Smyrna Beach - A family is missing in New Smyrna Beach, Florida and clues to their disappearance are simply not turning up in the search. An entire family seems to have gone missing in Florida and the Police are not only baffled, but are experiencing a series of dead ends in the search. The search by authorities began with a cold trail due to the late reporting of the first persons missing status. Fifty seven year old Karen Burger was reported by her elderly father as missing in August, a full month after his last apparent contact with her and police picked up the search at that point. The family was last seen at an Edgewater motel in July of this year. After searching for Burger for six weeks, the authorities started looking for Burger's daughter and son-in-law, Chistina and Allen Hilgefort who also have a two year old son. When the three other family members were unable to be found, the New Smyrna Beach detectives concluded their was probably a connection, but still have found no clues to the disappearances. "We're basically missing an entire family," said Detective Sgt. Eugene Griffith with the New Smyrna Beach Police Department. Burger's father had waited for a month to report the disappearance since his daughter has a history of alcohol and drug issues and has apparently been out of contact before. Both families have not made any use of their individual bank accounts since they went missing and the authorities are classifying them as 'endangered'. Any person with information to offer the police can call Crime Stoppers of Northeast Florida, toll-free, at (888) 277-TIPS. A 57-year-old New Smyrna Beach woman who was last seen in July is still missing, but police said today they have located members of her family who also disappeared. In November, police began looking for Karen Lee Burger's daughter, Christina Lea Thompson Hilgefort, 38, and her husband, Allen Arthur Hilgefort, 33. They, along with their 2-year-old child, disappeared from the area and were wanted for questioning about Burger's disappearance. The couple and their child were located Dec. 22 after they were involved in a traffic crash in Ohio, New Smyrna Beach police Investigator Mike Covey said. Covey would not say why the family disappeared or if they are suspected of being involved in Burger's disappearance. "That's part of the investigation," he said. Anyone with information can contact Covey at 386-424-2223. 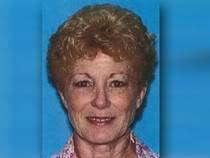 New Smyrna Beach, FL- Police in NSB have named two people wanted for questioning in the disappearance of 57-year old Karen Lee Burger. She was last seen on July 25th- her father says she has a drug problem which may have contributed to the incident. Police are now searching for Burger's daughter and son-in-law, 38-year old Christina Hilgefort and 33-year old Allen Hilgefort. The two have known addresses on S. Atlantic Ave in Daytona Beach and the 800 block of Corbin Park Road in NSB. Anyone who has seen the pair is asked to call the NSB Police.